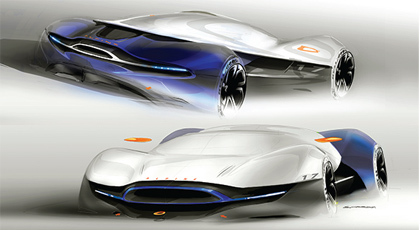 Strate School of Design is one of the best Transportation design schools in the world. There is not a single car company without Strate alumni. Strate trains transportation designers for tomorrow, capable of developing a transversal and global vision of all mobility issues with a double exigency in terms of formal and conceptual excellence. During this 19 months program, students will be trained to become strong professionals thanks to an intensive project- based pedagogy, car manufacturer master classes and partnerships, and a strong emphasis on all representation techniques (2D/3D).